What is unwillingness to fight in fencing? Non-combativity, or unwillingness to fight, or passivity, is basically a situation in which two fencers on the strip do not necessarily advance to fence and do not score. – they are not engaging in combat. It may take two to tango, but it also takes two to be non-combative. If one fencer is non-combative, then the other one has to be or else there is no non-combativity happening because one fencer is fencing and the other is forced to act in defense. There are many reasons that fencers are non-combative. Sometimes it’s a very tactical move and they don’t want to risk a point. When fencers advance, the chances of them getting scored on is higher. Advanced fencers know that they can play it safe by being non-combative in certain situations, preserving their lead without having to risk getting a touch against them. In some high-level competitions, this tactical approach to being passive has evolved into a central method for team fencers who decide that it’s worse to risk being scored on. In these situations, we find long draughts with no fencing in these team matches at times. Beginner fencers are another common culprit of non-combativity, simply out of fear of losing a point when they move forward. In this case it’s not so much tactical as emotional and emblematic of a lack of experience. Whatever the reason for non-combativity, the result is always the same – fencers bouncing up and down on their toes with their swords in hand, cutting their opponent down with their eyes while the sword bobs uselessly in their hand. That’s not to say it’s not an effective technique up until now, and fencers who use passivity tactically find it effective. There’s nothing wrong with that! Recently the rules commission issued a blog calling for fencing judges to just follow the rule, follow it without questioning it or criticizing it, at least for fight now. The argument here is that it doesn’t really matter how you feel about the rule. And that’s true, it doesn’t really matter how anyone feels about this new rule, it just matters that you follow it. This is how fencing is going to be from now on, and there’s really just nothing to be done about it. The same goes with fencing. No one wants to watch two fencers on the opposite sides of the strip standing there just staring at each other. What we in the audience want to see is fencing! Real fencing! Video is everywhere today. We mean everywhere. From your phone to your gas pump. 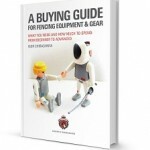 As fencing becomes increasingly popular, we’re now seeing a lot more fencing on those screens. When people tune in, whether it’s during the Olympics or on a YouTube video, they come to see fencers fencing. The audience wants to see action. They want to see points scored and swords clashing – that’s what it’s about! That’s not just for the casual fans, but also for those of us who are deep into the sport. We want to have the fun of the fencers going for it! When you see two fencers staying the same distance from each other, it becomes very boring. There’s nothing worse than a sport that becomes very boring. 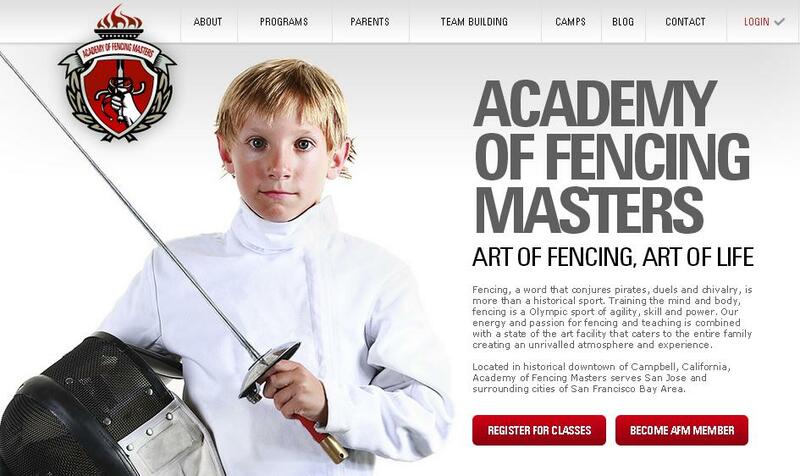 Sports have to be watchable if they are to grow and thrive, and we certainly want fencing to grow and thrive. This rule change is going to force fencers to bring on the heat, to bring on the action. That’s the reason that the FIE introduced it! That will make for more compelling fencing for the audience, both those who are casual fans and those who are deeply involved in the sport. Could this new rule be an end to boring fencing once and for all? That’s a real possibility. And that will make fencing to be more televisable. The new rules might be great for making things less boring for fencers, but figuring out how they work can be mind-numbing for fencers. The other thing to keep in mind here is that there will likely be some modification needed down the road, tweaks once it’s been implemented on the ground. The referee committees and technical committees will give feedback, and then after those tests we’ll see what adjustments will need to be made to improve what is already an interesting development. If two fencers do not score a touch within one minute, either any touch in epee or light going on at all in foil, within one minute during the course of the match, then they will be penalized. Again, just as it takes two to tango, it takes two to be passive in fencing. So everyone gets something if they stand there still and don’t dance. The way they are penalized is by warning, so they get a yellow p- card. If they continue with the same lack of desire to fence, the lack of desire to engage, then the next two times they will be penalized again with the red p- cards. Here you’ll find the complete rules for individual fencers per USA Fencing Rule t.124. We’ve copied it here for your convenience, but you’ll want to look at the link should you want to learn about the team rules. If the fencers are equal: the Referee sanctions both fencers with a P-card. If the fencers are not equal: the Referee sanctions the fencer who has the lower score with a P-card. For a fencer’s first P-card sanction, the fencer receives a P-yellow card. For a fencer’s second and third P-card sanction, the fencer receives a P-red card. For a fencer’s fourth P-card sanction, the fencer receives a P-black card. The P-yellow (warning) and P-red (penalty hit) cards received during any one bout or match are valid only for that bout or match. These penalties are not transferable to the following bout or match. The P-black card means disqualification for repeated unwillingness to fight. The fencer or team sanctioned keep their position in the ranking and the points obtained up to the moment of the disqualification. The referee must record these P-yellow, P-red and P-black cards separately on the score sheet. The sanctions awarded for unwillingness to fight are not cumulative with any other sanction awarded. In both individual and team competitions, if, at the end of the regulation time, there is equality of scores, articles t.40.3 and t.41.5 will apply. These should not be confused with regular penalty cards – they are passivity penalty cards. These are totally different. A real yellow penalty is much different than a p-yellow penalty for non-combativity. So if you have one regular yellow card, for example your weapon didn’t work when you connected to the strip, and then you get a passivity yellow card, these do not pile on top of each other, they are totally separate. The same goes for any yellow card situation or even a red card offense. They are totally different things! Say you got a yellow card and you went the first time to non-combativity, you’re not going to receive a p-red card. Frankly, I think that eventually they will call them something different because right now it’s so totally confusing. The referees would carry two sets of cards, one with the letter “P” on them, to differentiate between the two. Another thing that’s very important to consider is time. Up until now, the referee advanced the bout to the next round, extending the period and the one-minute break was cancelled. The fencers then started to do the next round and the next round and then go to the one minute of full time fencing. With new unwillingness to fight rule, if fencers were penalized with the p-card, the bout continues from the same second, the time is not advanced to the next period and the same place from where the referee called halt. Fencers do not return to the enguarde line, they just continue from the same place. That’s important because that means that the bout will take the same amount of time as it was originally scheduled to. So everything will advance at the same pace except the fencers will be forced to fence the whole thing. Overall, the nuts and bolts of this seemingly hard to comprehend rule are very straightforward! It’s all about breaking it down into little pieces to make it easier to understand. What makes it interesting is that the penalties will not be treated equally! That’s the toughest part to make sense of, but basically the much worse penalty will be given to the fencer with the lowest score at the moment. Why is that? The reason is that if you are down in your score, and you do not take an action, you are going to lose. You must take a risk, and with this new rule you are forced to take a risk. This unwillingness to fight rule basically is about one thing; whatever you’re doing, you must take risks. You must try to score a point in one minute. One minute in fencing is a huge amount of time. It’s an eternity! You must try to score in this time, and it’s not that challenging even for beginners.. A lot of things can happen in one minute. It’s definitely enough time for you to prepare an action and try to execute it. The thing is, now if you don’t take a risk you are going to lose that point anyway! So if you’re going to lose a point, why not take a risk? There is no reason not to take a risk. Fencers will now have to commit to an action and try to execute it. The opponent on the other side who knows that you will have no choice but to take a risk and initiate something. This will make fencing very interesting! Think about the bout with equal score that came to the end of regulation time. During the priority minute the fencer without priority is forced to fight. He or she is forced to take an action. What you often see is that a fencer who has priority is by definition and the design of things going to go to a more defensive mode while the fencer who does not have priority will go to an offensive mode because she has nothing to lose. She is going to lose anyway. Why not take action, why not take chance? Try to execute and see what happens. This whole unwillingness to fight rule is designed exactly for that. Take a chance, take a risk and go for it. You have nothing to lose because if you do not do it you’re just going to lose anyway. Another thing is that if you paid attention there is just always in this rule one guy who is treated favorably and another guy is treated unfavorably. In this case the one who is winning is treated favorably. The lead for p- cards can be that it’s a touch off ordered so that they advance, or if everything is equal and they both receive a p-black card so that the bout is lost, the one that had initial seeding higher will win. Again that means the one that is seeded lower initially will lose. Which is again you can argue whether it’s beautiful or not, whether it’s fair or not, it doesn’t matter. The thing is, if you have a lower seed and if you were already were warned and awarded a penalty card, you are going to be treated less favorably when they are going to issue a p-black card. Now you have no choice, you must commit to an action. You must exercise and attack, otherwise you’re doomed. You’re going to lose the match. Basically, this changes everything. It changes the whole thing! It changes the competition in general, the tactical approach. For those fencers who executed this kind of tactical idea that non-combativity was a strategy, they’re going to have to think of another way. The bouts will now be fenced in full, and each bout will be much more dynamic because it is guaranteed after the first p- card when fencers suddenly realize that they are penalized with the card for nothing, which is extremely annoying way to lose a point, they will start taking risks. Inevitably! The first time this rule is going to be implemented in the US is at the Junior Olympics that’s coming up this coming Thursday, February 14th. Then every domestic competition whether it’s local or regional or national will implement this rule. It would be challenging for local tournaments due to lack of timers on the scoring machines, but eventually some solution will be found. Whoever is traveling to the world competitions from cadets to juniors to seniors and veterans already encountered this new unwillingness to fight rule. Fencing is about fighting. It’s about taking risks and following through with those risks. Sure, sometimes you’re going to have to deal with the fallout when you miscalculate or get a touch against you, but that’s a major part of the draw to it!